Is your eLearning event just around the corner? Are you looking for ways to spread the word and attract new attendees? In this article, I’ll share 5 top tips for marketing an eLearning Event. You’ve dedicated a lot of resources to your upcoming eLearning event. You’ve reached out to guest speakers, arranged a venue, and outlined all of your talking points. But how do you get people to click that sign up button? This is a challenge that most eLearning event hosts must overcome, especially if it’s their first eLearning seminar, webinar, or workshop. Fortunately, there are some effective and budget-friendly tips to help you fill those spots and successfully marketing an eLearning event. Social media should be an integral part of ANY marketing strategy, but it is doubly important for eLearning events. Your learners are already online, as is a vast network of eLearning professionals who are all across the globe. One of the most effective ways to reach them is through social media. Post links to your eLearning event page on your Facebook profile and use Twitter hashtags to start a trend. Some social media platforms even offer ads that allow you to target specific users. For example, people who are looking for particular keywords or clicked away from your sales page. 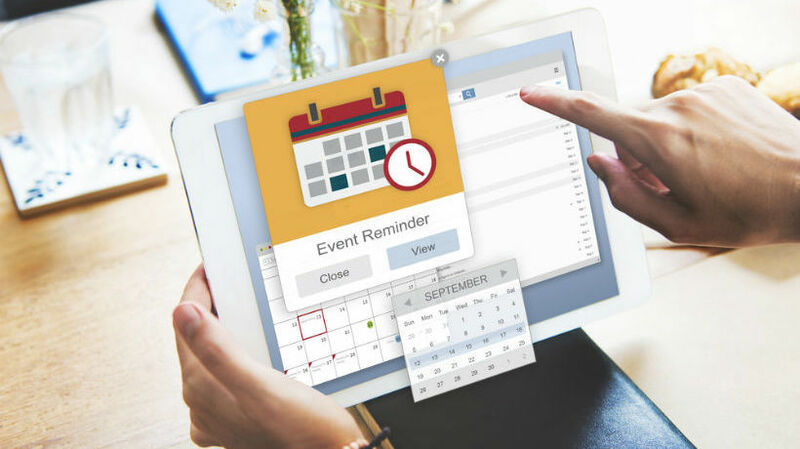 You should also create an eLearning event reminder in Facebook and Google+ that attendees can add to their personal calendar. Lastly, encourage your social media contacts to share the eLearning event with their social network. If they need some added incentive, create an online contest or giveaway that they won't hesitate to share with their friends. The date and time of the eLearning event, and where it will be held. If it's an online eLearning event, provide a link to the website or provide additional details. For example, specify that the eLearning webinar link will be emailed to participants two weeks prior. This is your opportunity to convince visitors WHY they should attend the eLearning event. What's in it for them? How is it going to help them solve a problem or achieve a goal? Be specific about what perks you're bringing to the table. Include the names of guest speakers, topics you'll be covering, and photos from previous eLearning events. If possible, embed eLearning videos or other multimedia that grabs their attention. Be clear about how they can book their spot. Ideally, you should offer them at least 2 or 3 options. For example, clicking the "Reserve Your Place Now" button or filling out the online contact form for more information. In addition, verify that all of the links and buttons are active, and that the site looks great on multiple platforms. Many sites use responsive design tools, which means that you can create one master layout that adjusts to fit the screen. Think of a website as your virtual headquarters. It allows you to maintain a professional online presence and gives visitors all the essential details. However, you also need a way to interact with your attendees and potential attendees so that they form a personal connection. This is where eLearning blogs come into the picture: More specifically, Search Engine Optimized blogs that include targeted keywords and intriguing online topics and tips. This helps you attract new people who are already interested in the subject matter. You should also create a blog post schedule that highlights each topic and question…and stick to it! The trick is staying consistent in order to build trust and credibility. Finally, get your online visitors involved by asking for their opinions or inviting them to leave comments. People like visuals. They enjoy seeing images and clips from past eLearning events. In fact, it might be the final nudge they need to click that "RSVP" button. But there are two things to consider when creating an eLearning promo video. Firstly, you have to deal with the production aspect. Luckily, there are a variety of eLearning authoring tools that specialize in video design and editing. You can create an amazing eLearning event video for marketing purposes using their assets, templates, and themes. Secondly, you have to know WHERE to post your eLearning promo video once it's finished. The good news is that there are a number of video sharing platforms, such as YouTube and Vimeo. You can even post your eLearning promo video on Facebook or link it via your Twitter profile. People can also be forgetful, especially if they are distracted or busy with other obligations. Therefore, you need to keep in touch with them before and after they reserve their spot. Send out email newsletters and update them via your social media page to notify them of upcoming eLearning events. After they sign up, send out reminders a week or two prior in case it slipped their minds. If you need to build your email list, include an opt-in on your website that offers a special perk. For example, a free eLearning report, eBook, or links to exclusive eLearning content. The secret is staying fresh in their minds so that they jump at the chance to attend your next eLearning event. These marketing tips can help you generate buzz for your upcoming eLearning event and turn site visitors into attendees. Since all of these techniques rely on the power of internet, you also have the ability to measure your marketing effectiveness. So, evaluate your site analytics and social media stats to find an approach that works best for you. Do you want your eLearning Event to be seen by more than 500,000 readers? 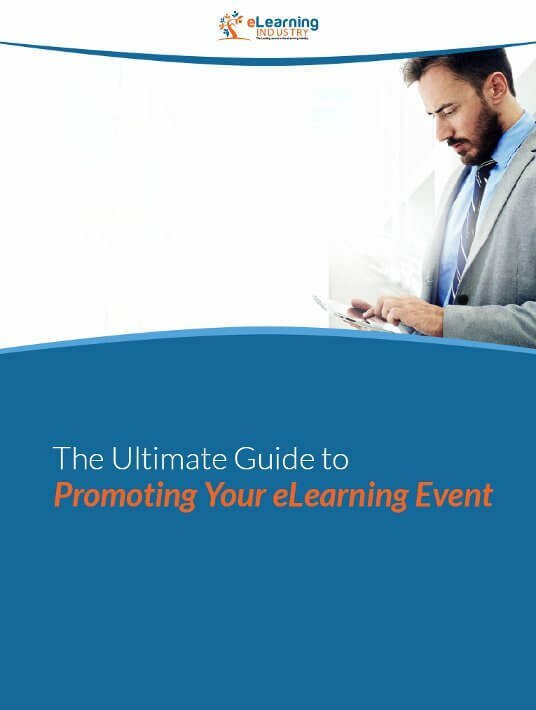 The eLearning Industry Event Marketing Team can help you promote your next eLearning event and maximize your online visibility.